ERIN LAWLOR (b. 1969 in Epping, England) received her Bachelor of History of Art degree in 1992 from Paris-Sorbonne University, France. She has had numerous solo exhibitions nationally and internationally. 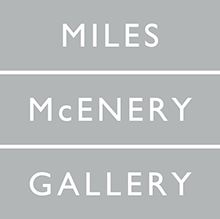 Recent solo exhibitions include Miles McEnery Gallery, New York (upcoming); “Cat on the raz,” Espacio Valverde, Madrid; “Hiraeth,” Fox/Jensen Gallery, Sydney; “Erin Lawlor,” Fox/Jensen/McCrory Gallery, Auckland; “Here to the Hidden Hills,” Fifi Projects, San Pedro; “Erin Lawlor, onomatopoeia,” Mark Rothko Center, Daugavpils; “New Works,” La Brea Studio Residency, Los Angeles; “Erin Lawlor,” Rod Barton, Brussels; “Maleri.Nu/Paint.Now,” Ny Carlsberg Glyptotek Museum, Copenhagen, Denmark; “Opening Scene,” Galerie Klaus Braun, Stuttgart,; “Four Paintings: London Fields,” George Lawson Gallery, San Francisco, USA; “Long Loud Silence” (two person exhibition with Mary Bucci McCoy), Gray Contemporary, Houston, Texas, USA; “Recent Paintings,” inaugural exhibition, George Lawson Gallery, San Francisco. 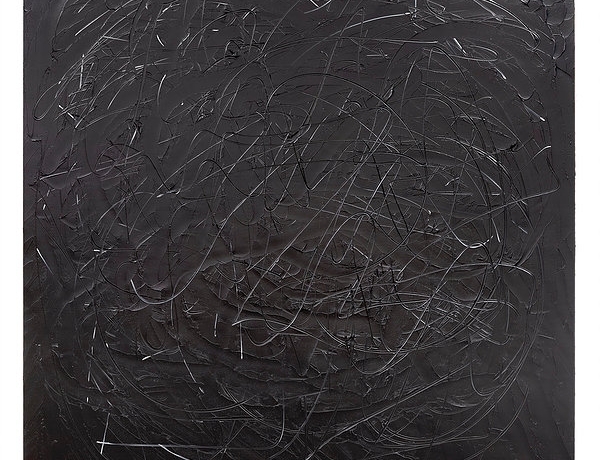 Recent group exhibitions include “Wet Wet Wet: Erin Lawlor/Aida Tomescu/Liat Yossifor,” Fox/Jensen/McCrory Gallery, Auckland, New Zealand; Space K, Seoul, South Korea; “A brief History of Abstraction,” Rønnebæksholm, Denmark; “L’Echappée Belle, Erin Lawlor/Bram van Velde,” Galerie Pauline Pavec, Paris; “Drei Künstlerinnen der Gegenwart,” Institut Française, Mainz; “Whitfield Street,” Rod Barton, London, United Kingdom; “Bête Noire/Candyman,” The Neutra Museum, Los Angeles; “David Achenbach Projects,” COFA Contemporary, Cologne; “A full open hand, drippings, and carefully masked lines,” Galleri Jacob Bjørn, Aarhus, Denmark; “Thru the rabbit hole,” Sideshow Nation, New York; “White Album,” George Lawson Gallery, San Francisco; “The seed of its opposite,” Kelvin College, Glasgow; “Seven Painters,” Arcade Gallery, Cardiff; “Peer Review,” Blyth Gallery, Imperial College, London; “Erin Lawlor/James Geccelli,” Raumx Project Space, London; “Making History,” Brookyn, N Y, ; “ Tutti Frutti,” Turps Gallery, London; “Suchness/Sosein,” R AUMX Project Space, London; “Arbeiten auf Papier,” Galerie Klaus Braun, Stuttgart. Her work is present in numerous private collections. Public collections include New Hall Art Collection, Cambridge, United Kingdom and Mark Rothko Art Centre, Daugavpils, Latvia. 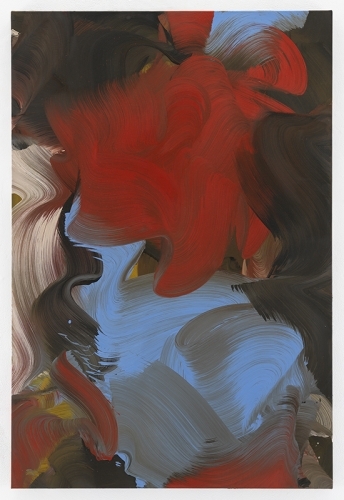 Erin Lawlor lives and works in London, United Kingdom. Fox Jensen McCrory is delighted to be able to present the paintings of three magnificent artists, Erin Lawlor, Liat Yossifor and Aida Tomescu. London (UK) artist Erin Lawlor’s discussion of Alla Prima painting with Los Angeles based artist Liat Yossifor for TAS is an important exchange between two painters that reveals much about their process and friendship. It is of great interest to note that the ways in which painters think about painting that cross time zones, time periods, and geography.